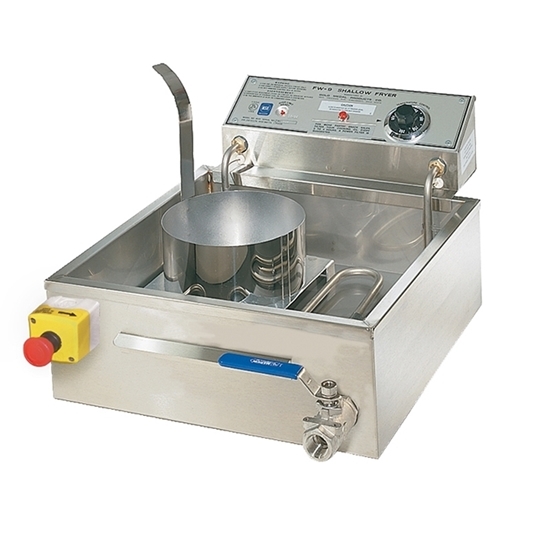 Units include drain, Emergency Fryer Shut-Off Switch, and combination drainboard/cover. Donut screen (#89227) is not included. Overall dimensions 17.5"W x 24.5"D x 11"H.